It can’t be argued that the iPad makes for a great educational platform. I can honestly say that my kids have learned quite a lot playing with various educational apps on it. They’ve learned everything from their basic 1,2,3’s and ABC’s to more advanced topics like how the human body works. 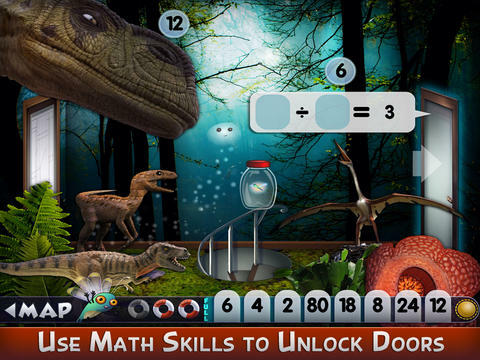 That means the iPad has no trouble teaching children mathematics and one of the newest math games out there is Mystery Math Museum from Artgig Studio. The name may sound familiar because this is the follow up to the popular Mystery Math Town game which we reviewed a while back and really liked. Mystery Math Museum allows children to practice various math concepts in a fun and engaging manner. If you’ve played the previous game before, than this one will be very familiar. If not, I’ll explain it to you. In this game, you are tasked with rescuing your dragonfly friends who have gone missing at various museums. You must visit each museum and search for them by going room to room. However you can’t just go barging in. In order to go through each door, stairway, ladder, or window, you must create an equation that equals the number provided. That means you have to collect numbers to use for your equations and solve each problem. Don’t worry about not being able to solve certain problems as there are multiple ways to go and sometimes you just need to go searching for the correct numbers to use. What’s neat with this app is that you can tailor it for each child. You can set up multiple accounts and each account can have their own specific math settings. If a child for instance needs more practice with addition, you can set his account to show nothing but addition equations. 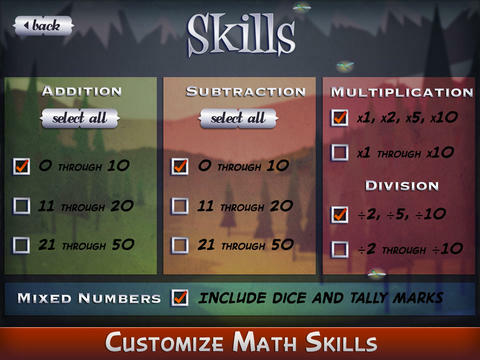 If they need practice with more advanced math, you can set it for multiplication and division. You can even set the app to not only show numbers, but also dice faces and tally marks to make it a bit more challenging. 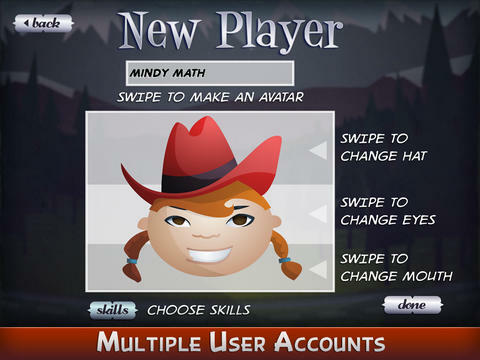 If you your kids enjoyed the first Mystery Math town game, they are going to enjoy this one. It’s more of the same that made the first game so good along with lots of interactive elements to play with, not just the math stuff. I like how you can set up multiple accounts with different settings and being able to tailor it to each child. If you have children who are just learning math or need to brush up on their math skills, I highly suggest Mystery Math Museum. I know my kids really enjoyed it and I’m thinking yours will too. Price: $2.99Compatible Devices: Requires iOS 4.3 or later. Compatible with iPad. The sequel to Mystery Math Town is here! 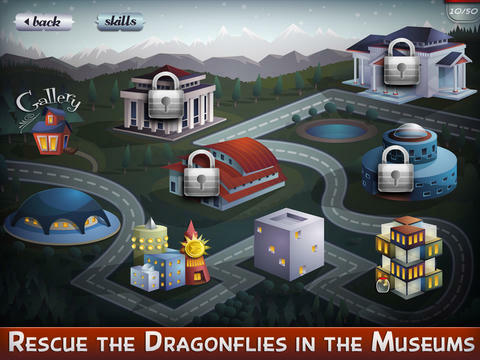 Use your math skills to rescue the dragonflies in Mystery Math Museum for ages 6-12 and up. Designed to support classroom learning, Mystery Math Museum provides a unique and engaging way to practice a range of elementary math concepts for kids ages 6-12 and up. Thanks for trying Mystery Math Museum! – Do not share your personal information with us or anyone else. – Do not include 3rd party ads, or in-app purchases. 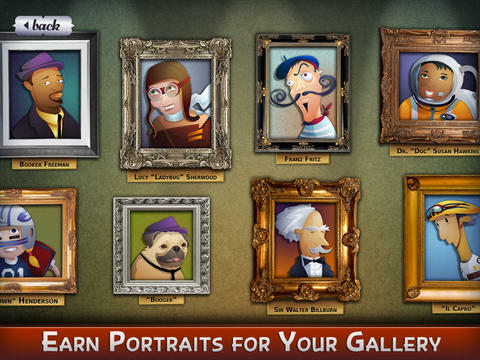 – Include gated feedback links and links to the Artgig Apps website within the app.